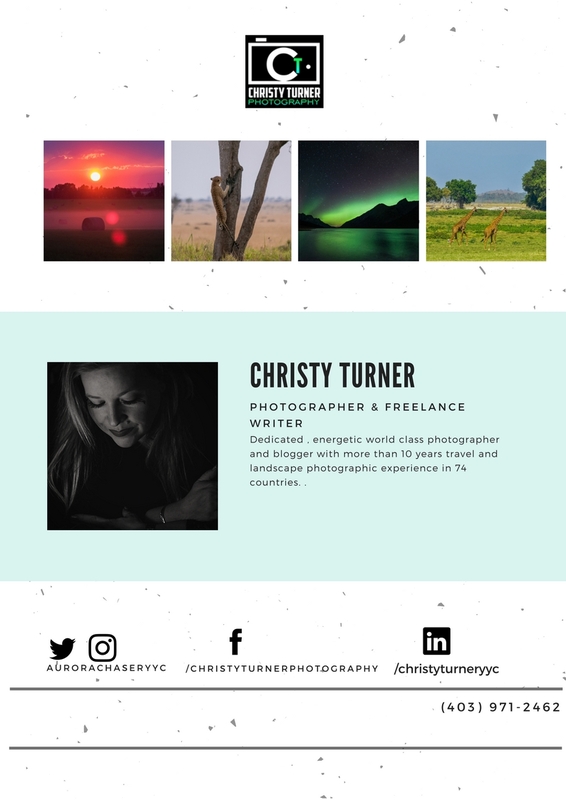 Born and raised in Calgary, travel photographer Christy Turner is a nature-loving, night skies photographer with a passion for the Aurora Borealis (Northern lights). 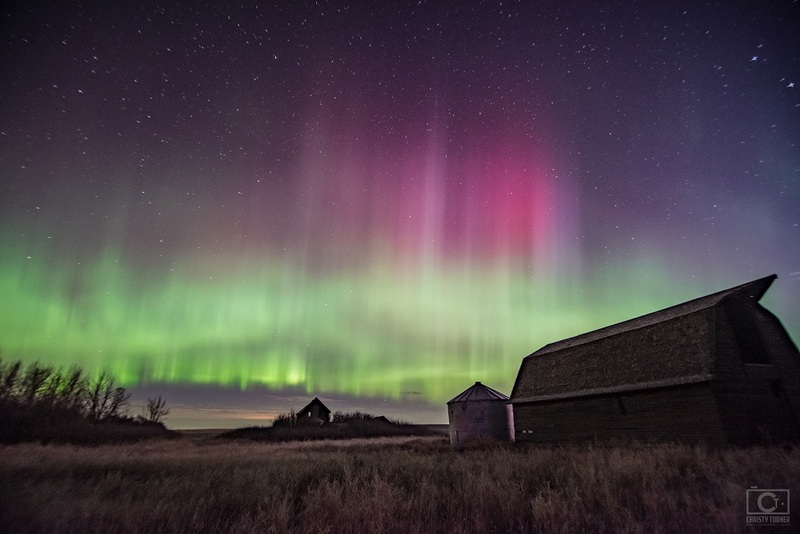 Living in the beautiful province of Alberta affords Christy the opportunity to photograph endless stunning landscape and wildlife opportunities, and her thirst for travel has taken her to more than 74 countries photographing the sights along the way. Her images have been widely published in Canada, USA and Europe and she loves sharing the stunning beauty of her surroundings with many. 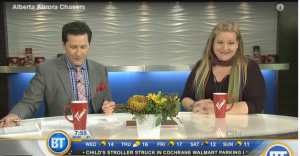 She is based out of Calgary, Alberta and lives with her boyfriend John and their two cats. 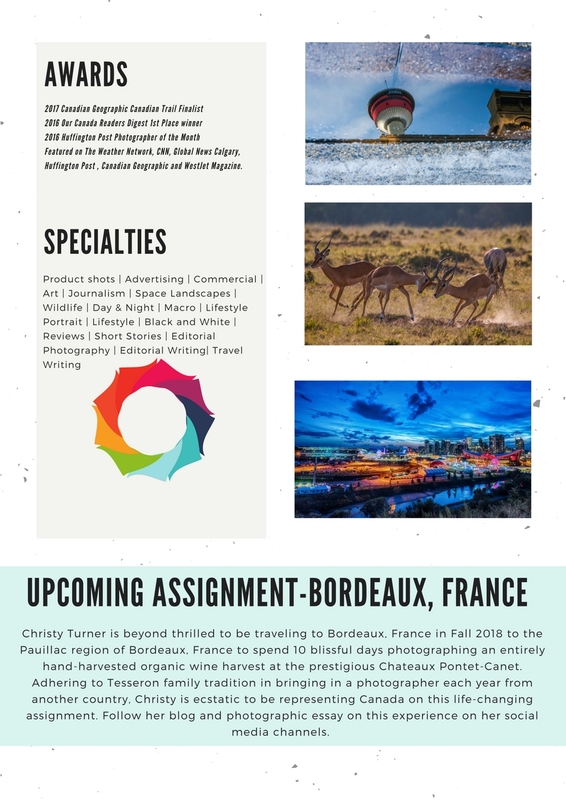 Fall 2018, Christy is thrilled to be travelling to a prestigious photographic documentary assignment, traveling to the Pauillac region of Bordeaux, France to photograph a 10 day, organic wine harvesting process at an 18th century wine estate that continues to do everything by hand. Many of these dreamy and once-in-a-lifetime images will be used for 2019 marketing materials to wine sommeliers and suppliers throughout the world who visit this prestigious and historic vineyard in the years to come. The Tesseron family, owners of Chateaux Pontet-Canet continue to adhere to a tradition of bringing in a photographer from a different country each year to document this harvesting period. 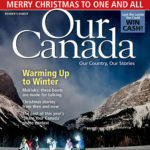 As a result, Christy is ecstatic to be representing Canada photographically on this journey! Christy shoots all her images with her incredible Nikon cameras D750, D810 and D850, and uses Nikon, Sigma and Tamron lenses. She also flies a Phantom DJI Mavik Pro drone with a GoPro6, and relies heavily on Manfrotto tripods for her night photography and landscapes. CNN Ireport, Shown on TV/North America-CNN News- Featured on Web Frontpage CNN's Travel Photo of the Day on February 26, 2015.